Daniel R. Heimbach, senior professor of Christian ethics at Southeastern Baptist Theological Seminary, is an ordained Southern Baptist minister, fellow of the SBC Ethics and Religious Liberty Commission, chairman of the Christian ethics planning unit for the Evangelical Theological Society, general editor of the B&H Christian Ethics series, referee for the Journal of the Evangelical Theological Society, and contributing editor for the Journal of Faith and War. Professor Heimbach is a scholar, writer and social critic who works at the interface between Christian moral witness and secular culture. He was born of missionary parents in China during the Communist Revolution and raised in Southeast Asia. He has a B.S. from the United States Naval Academy, an M.A. and M.Div. from Trinity Evangelical Divinity School, an M.Phil. and Ph.D. in law, politics and Christian ethics from Drew University Graduate School, and has earned certificates for further study from the Harvard University John F. Kennedy School of Government and the University of North Carolina at Chapel Hill Institute of Government. Professor Heimbach has been teaching Christian Ethics at Southeastern Baptist Theological Seminary since 1993. Before that he served 1 year as Executive Director of the Defense Readiness Council, 2 years as Deputy Assistant Secretary of the Navy for Manpower, 2 years on the White House staff under President George H. W. Bush both as Associate Director for Domestic Policy and as Deputy Executive Secretary to the Domestic Policy Council, and 2 years as Political Advisor and Legislative Assistant to Senator Richard Lugar of Indiana. 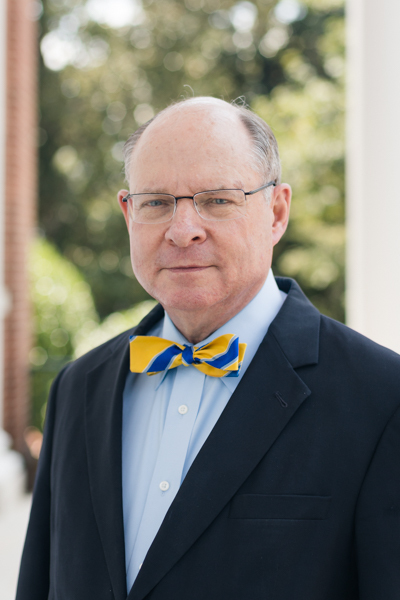 Professor Heimbach has written or contributed to fourteen books, and has written more than sixty articles and book reviews, provided expert witness to the United States Congress, and contributed to thirteen articles on various ethical issues included in the English Standard Version Study Bible.